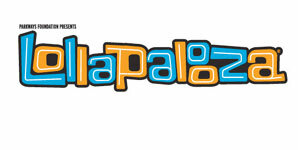 Lollapalooza in Chicago is more than just a concert. It is a musical, cultural, community experience, and is the first of its kind in this beautiful space. Grant Park is a jewel that the citizens of Chicago hold dear, and takes center stage as the star of this colossal show. Come to enjoy the music, the food, the art, the park, and each other. Remember that this is your party Chicago, and you should be proud. And when Lollapalooza packs up on the Sunday, we hope that the park and the city are just a little better than they were before the show began.